Let’s express our inner artists and have fun with the environment in mind! 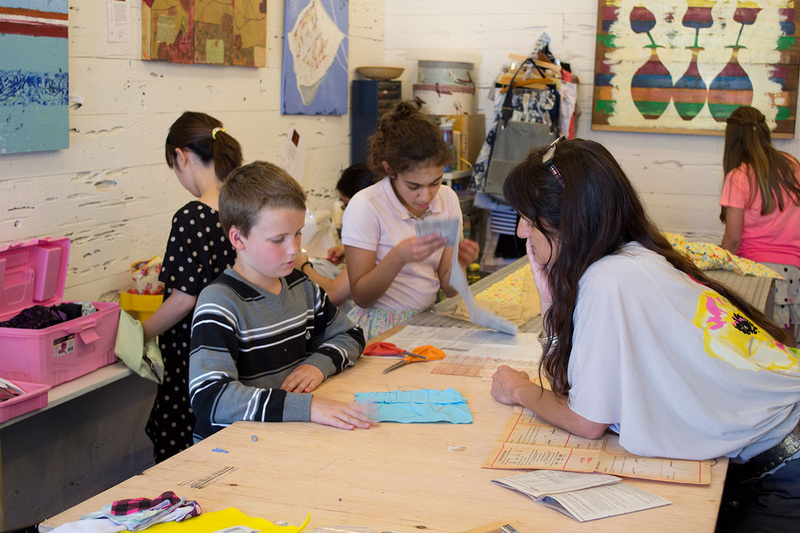 Ricochet is an entertaining studio where students learn how to design and create their own garments and accessories and learn to use their sewing machine independently from Jill Pillot, by up-cycling the unused garments and rescued materials. Create your own solo, semi-solo, three-buddies or group class at your convenient time by appointment, and choose your language. (Jill can teach in English, Spanish, French and/or Dutch). This is also a great program for Homeschoolers. Each student will have their own ONE-OF-A-KIND, EYE-CATCHING, INSPIRING DESIGNS that will for sure evoke compliments. 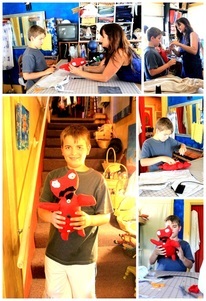 Our classes are focused on sewing projects that children will love to wear as well as craft projects. Children choose their own projects. 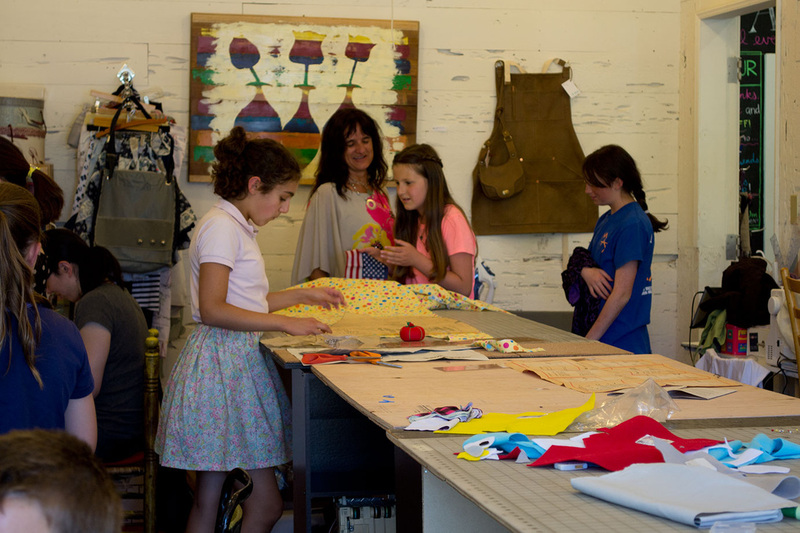 Sewing their own Wearable Art will provide an opportunity for students to express their creativity and learn to realize fashionable and eco-friendly clothing or accessories. 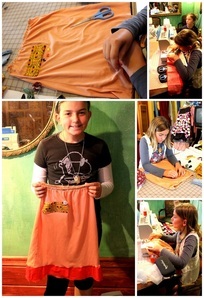 Projects could be: a skirt, top, nightshirt, shorts, pants, bag, purse, softies and much more! Or, for the fall season, why not create the perfect unique Halloween costume, backpack or accessory for school! • Each student will work on projects of their choice. • Everyone works at their own pace. • Individual instruction will be given to each student. • We customize our teaching style to our students’ needs. 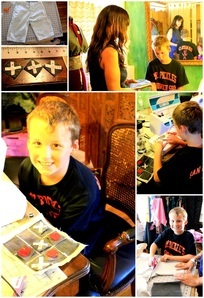 • Students will get to learn how to operate their own sewing machine as well as learn how to fix minor wrong doings. • We don't discard any unused fabrics and clothes, it will be of good use for a next design. Late Pick Up Fee - $20 per 15 min. A deposit of $75 is required in order to save the spot. You can now pay the deposit in person, by mail, or via PayPal. The balance is due on the first day of class by cash or check only. "I decided to enroll my daughter after meeting Jill at a local green festival in Burlingame. My daughter was already enrolled in another sewing school locally so we have a comparison. We tried the two week summer camp. First of all, I think this is a great concept-taking old clothes we'd otherwise donate or give away and recycling them in a way that is good for the environment and also creative. 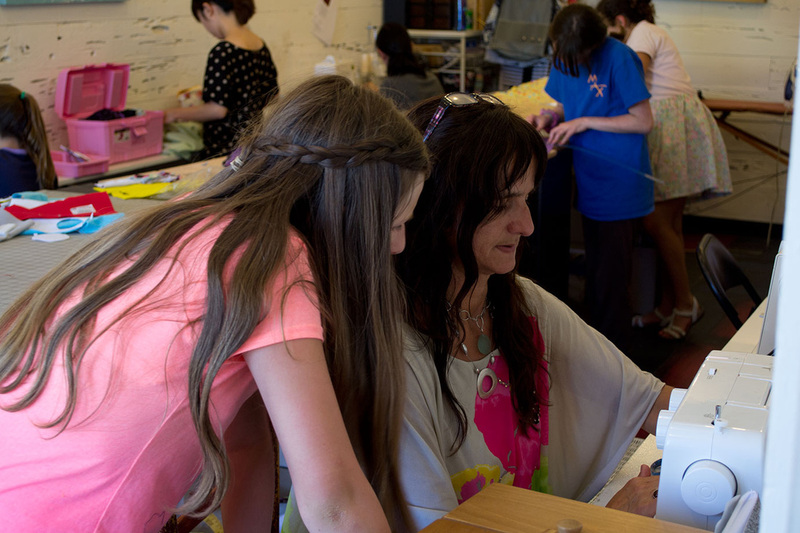 My daughter loves the clothes she made during the camp and more importantly - she felt she learned more during this camp and felt more capable of working independently on future sewing projects. For that reason, I'll try to have my daughter continue during the school year. Jill was easy and flexible to work with as well in terms of fielding questions and dealing with logistics." Join us in our journey to enhance the community!